The advent of the modern internet has taken over several global industries, leading to a revolution of kinds with massive transformation. The banking industry is no stranger to the disruption, and it is probably the industry that bears the maximum impact. Standing in long queues for a simple bank account inquiry, waiting for the cashier to finish counting money at your cash withdrawal request and spending days in anticipation of getting your salary cheque cleared, are some of the typical patterns of a traditional banking system. However, in the age of mobile and digital banking, fund transfers can be made in five minutes, checking account balance is a matter of few seconds and loan approval does not need a mountain of paperwork. Long gone are the days, when visiting a bank for simple banking transactions was necessary. Internet and mobile banking apps have created a massive shift in the landscape, making banking as easy as the click of a button. Undoubtedly, mobile banking services have replaced traditional banking methods and simplified complicated and elaborate processes. Now, sending, withdrawing, and receiving money is a lot easier. Checking account balance, paying bills and applying for loans do not need you to visit your bank branch. All of this and more can be accomplished by using a mobile phone. Most of these mobile banking services and apps are made available by the banks to their customers for free. Now, banking is not only simple but also cheaper. Let’s delve deeper into the trend that has taken over the banking industry by a storm. Also, this blog will shed light on the emerging mobile banking trends. Mobile banking is the act or service that is provided by banks and financial institutions to make financial transactions using a mobile device like smartphones or tablets. It uses a particular app that is designed for a particular bank and its customers. Access to the internet is a must. Through these apps, customers can perform banking activities remotely without the need of visiting their branch. Not only can they transfer funds and check their account, but some of the impressive mobile banking apps allow the customers to interact with their banks. The best part is that it makes your bank available 24/7. However, mobile banking services depend on the features provided by the mobile banking app. A basic mobile banking app allows simple and secure sign-in, bank account management, bill payment, money deposit, money transfer, ATM locator, loan payments, and security alerts. Some apps also allow contacting customer support, remote cheque deposit and downloading bank statements. Mobile banking has made banking convenient and easy, it has reduced cost of operation and handling for the banks. At the same time, it has reduced the burden of the employees. In the initial phases, mobile banking was also termed as M-banking and SMS banking. Usage of SMS is the earliest example of mobile banking services. It was in 1999, Deutsche Bank, a European bank, started the services. Back then, smartphones were a new concept and many other devices did not support the services. Until 2010, SMS or mobile web were the only methods of mobile internet banking. However, the introduction of smartphones changed everything. It opened new avenues that industries worldwide wanted to explore. With the increasing use of mobile apps, it has become an emerging trend that is deemed to get bigger in the coming years. India is the second largest telecom market in the world and the industry is growing rapidly. Today, every bank is offering mobile banking solutions through apps and SMS banking. For example, SBI offers services through SMS Banking and Freedom app, Union Bank of India launched UMobile, and ICICI introduced iMobile, M-Pesa, and mRupee. Most of the banks have their own mobile banking services and products that encompass services like mini-statements, checking of account history, alerts, monitoring of term deposits, checking loan statements, credit card statements, mutual funds statements, management of insurance policy, payment of bills, insurance premium, funds transfers, the third party payments, check remote deposit, portfolio management, real-time stock, cheque book and card requests, ATM location, upgrading credit limit, and more. At present, mobile banking provides most of the services that online, credit or debit card banking have to offer. 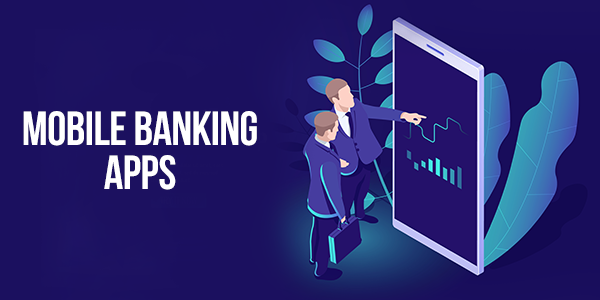 Unlike before, mobile banking apps are fully developed and have been able to tackle the challenges that they face due to the lack of hardware and software support. Currently, smartphones and mobile banking apps are powerful tools that people are using to replace cash and cards, moving towards creating a cashless society. Meanwhile, both technologies continue to evolve constantly. With a new generation of investors and customers, mobile banking has now become an integral part of the banking experience. Banks are making sure that they make it available to their customers easily. They are using different systems to support different types of mobile operating systems. This is the earliest form of mobile banking services, as mentioned above. The customers must contact their branch to sign up for the service. Using SMS messaging, customers can make banking transactions, check their account summary, balance, request a mini-statement, pay bills, provide stop cheque instructions, and more. This form of mobile banking services uses Wireless Application Protocol (WAP), which enables the customer to download the mobile app of their bank. They must register and verify their credentials to log into these apps and make use of the abundant features, as mentioned above in the article. Those who do not own a smartphone can make use of USSD codes to avail banking services. All they have to do is dial a predetermined code provided through a bank and press enter. This is followed by a menu that contains banking services that they want to avail using their phone. The reason why mobile banking is considered to be the future of the banking industry is because of the power it gives to its customers. Now, doing business and handing their fortune has become easier than ever before. Another reason behind its growing popularity is how it makes the bank available 24/7. Without the need of visiting your branch, your bank account can be accessed anytime and anywhere. There are no restrictions based on time and location anymore. Mobile banking apps offer most of the banking activities at just the click of a button. It allows speedy transactions. It enables customers to complete lengthy banking transactions faster than ever before. It provides real-time updates and offers a hassle-free experience to its customers. Using a multi-layered security system, allows safe operations and better security. Since mobile banking is largely an automated process, banks are forced to follow and comply with the guidelines consistently. 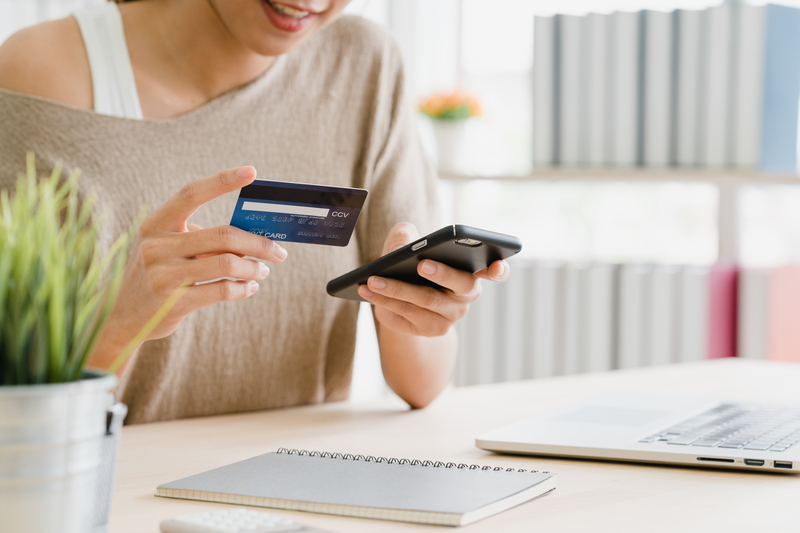 Among the additional benefits, banks offer loyalty rewards in the form of points or discount vouchers for using various services on mobile banking apps. It enables to serve the greater purpose of a paperless and eco-friendly way of banking. From the perspective of bankers, it makes it easier for banks to develop a greater understanding of their customer’s behavior and expectations. This can further help them in becoming better and stay ahead in the competition from their rival banks. Unfortunately, there is a downside to this technological innovation that makes it challenging for banks. Mobile banking services are not available on all types of mobile phones. The most convenient form of mobile banking services is through WAP; however, it requires a smartphone to access it. Experts believe that usage of these apps expose users to fraud, scams and fake messages. Also, losing a mobile device can put you at the risk of misuse of their bank information. 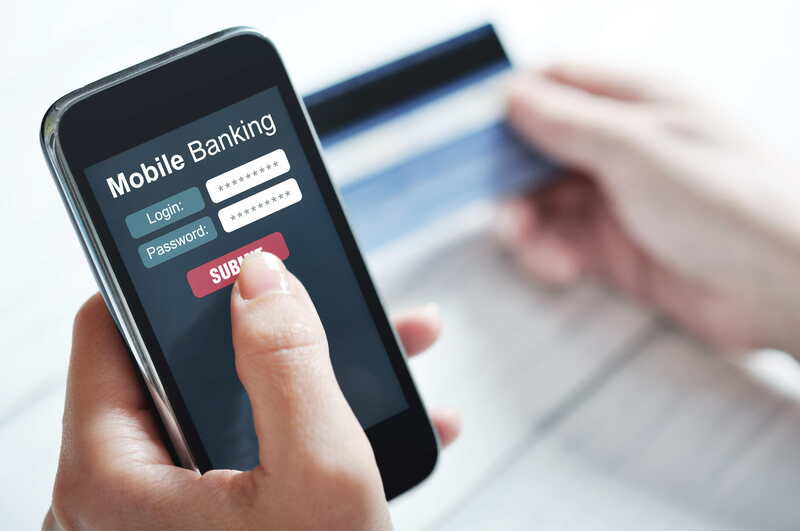 In the future, mobile banking apps are expected to offer new features and better security. Meanwhile, mobile payments and mobile wallets are on the rise and are considered to be the future. They are an increasingly popular way to perform transactions because they’re secure, fast and supremely convenient. Studies suggest that the global mobile payment market is expected to surpass $1 trillion by 2019. Mobile payment solutions are often referred to as payment services through which we send or accept in-person payment through a mobile device. Mobile payment technology must operate and comply with financial regulations. This technological innovation has eradicated the need for carrying cash, cheque, credit/debit card. All that one needs is a mobile phone to make the payment. Mobile payments is a rapidly evolving technology and it is widely adopted by global industries. Another rising trend is the mobile wallet. It is also referred to as the digital or virtual wallet that is used to store debit/credit information using a mobile device app. This is a convenient way of making payments. PayTM is a classic example of an Indian mobile payment system or digital wallet that is being widely used by the merchandisers as well as consumers. As the banking industry explores the potential of new technologies like artificial intelligence and machine learning, the apps are expected to come out with new features such as Robo-advisors to customers, voice payments, and card control. Moreover, mobile banking apps are predicted to become more secure, personal and user-friendly. With cutting-edge technology, these apps have the potential to offer a seamless banking experience to its customers. The way banking is done will never be the same anymore as we move towards technological advancements.